Picture jaspers are well known for their impressions of landscape scenes. But on rare occasions, much more suggestive images are discovered within their patterns. 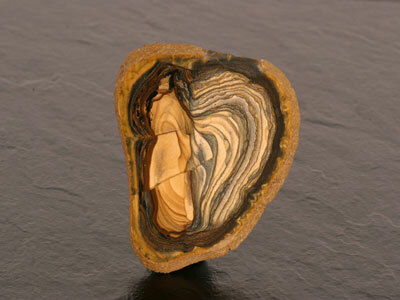 Bart Curren discovered The Angel of the Sahara within the first slice from a small potato shaped nodule of Egyptian Royal Sahara Jasper. 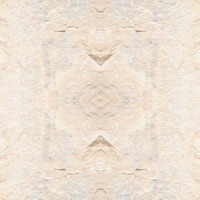 The near perfect image is 100% natural pattern of the jasper. It has not been enhanced in anyway. Within a few millimeters, the distinctive angel fades away. The jasper slice measures approximately 50mm x 40mm and is in the private collection of gemstone artist Bart Curren. The Angel of the Sahara is not for sale at this time.